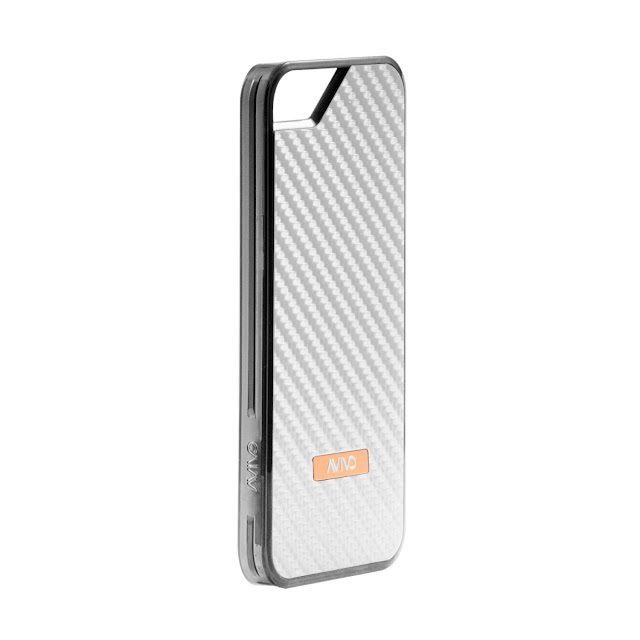 The next iPhone 5 case comes from AVIVO Style and their durable and customizable case, the Rail|Light . This is a lightweight two-piece case that is designed for both style and protection with the ability to withstand corner impact of heights up to 14 feet. The contents of the package included a white polycarbonate rail, white carbon fiber looking jacket, and frame to use rail without having to use the jacket. The badge is copper finished along with the CNC machined buttons to contrast with the stark white case. It is time to figure out how to snap this case together and see it does with preventing more scratches on the edges and back. When I first opened the packaging, it took a minute to realize what I had in front of me as my two piece case came with three pieces, and there is a number of options in term of options of use. As an auto enthusiast, I was a big fan of the carbon fiber look and the copper finished accents/buttons really stand out providing a nice look. 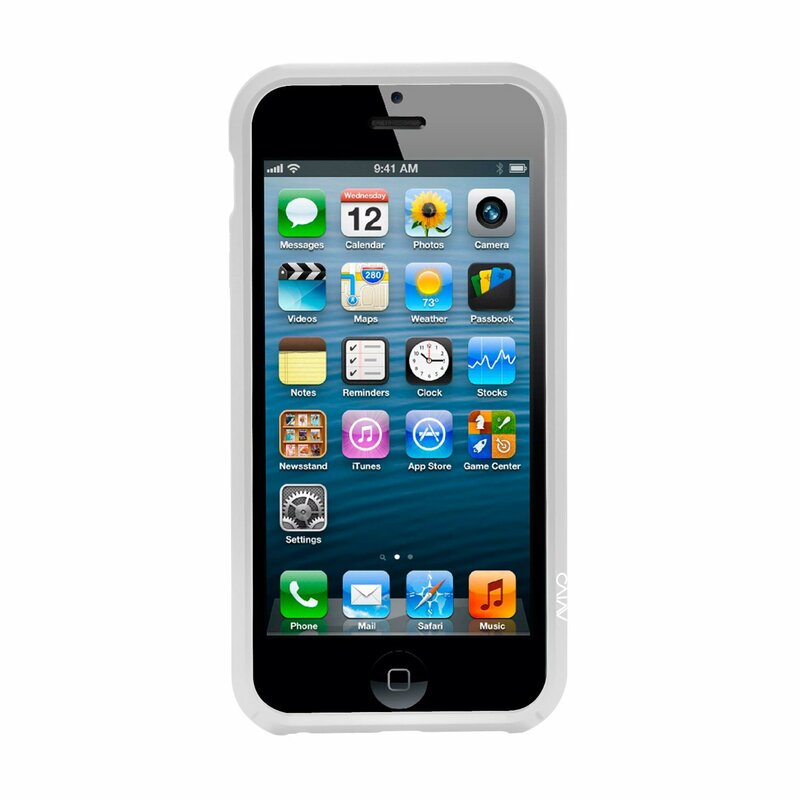 The case fits snugly with no wiggles when wrapped around the iPhone 5, the install was easy regardless to the option you go with, and it does not easily come apart. In fact, at times when I was trying to swap out the jacket for the frame, it sometimes took enough force to make me worry something was going to snap. Lastly, the rail is wrapped in soft rubber coating which is nice one paper for gripping, but when the rail is white, it does not take long to get dingy. 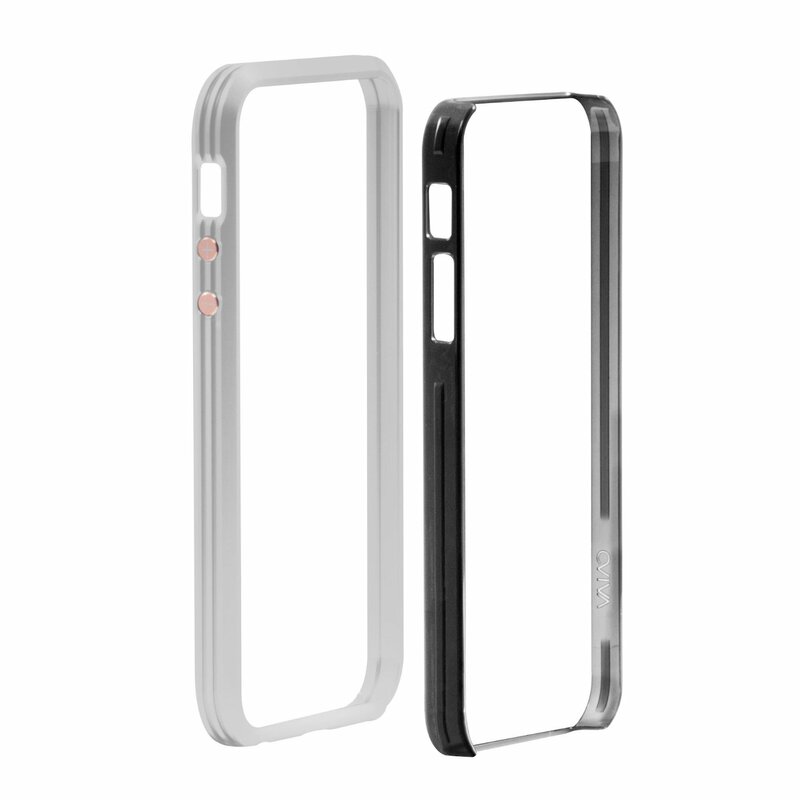 The Rail|Light case is a great to secure your iPhone 5 and help to prevent from slipping out of pockets or falling out of hands. It does not just add a sense of security, but also uses minimal space with a slim build and the jackets have modern options in suede, hatch, carbon, motif, and visor ranging in price from $39.99 to $49.99. Avivo also has a step up in materials with the Rail|Aluminum in which replaces the dingy white rail with a material that is significantly easier to clean. What I would like to see made offered by Avivo would be that jackets were made available in the shop to the purchased a la carte for additional variety or if you accidentally break it.